The Nichols Library provides good reading and information services for the Center Harbor area. Here are our hours and directions to the library. We provide computer and wifi access, and offer copying, FAX and scanning services. Consult our borrowing policies, take a virtual tour of the library or subscribe to our newsletter. Meet our staff and Board of Trustees, Consult minutes of monthly board meetings. If you have a question for the library, call 603-253-6950 or send an email. The Nichols Library celebrated 100 years of continual service on June 26th, 2010. It is listed in the National Register of Historic Places as part of Center Harbor’s village historic district. The Library building was given to Center Harbor by James Edwin Nichols (1845-1914). 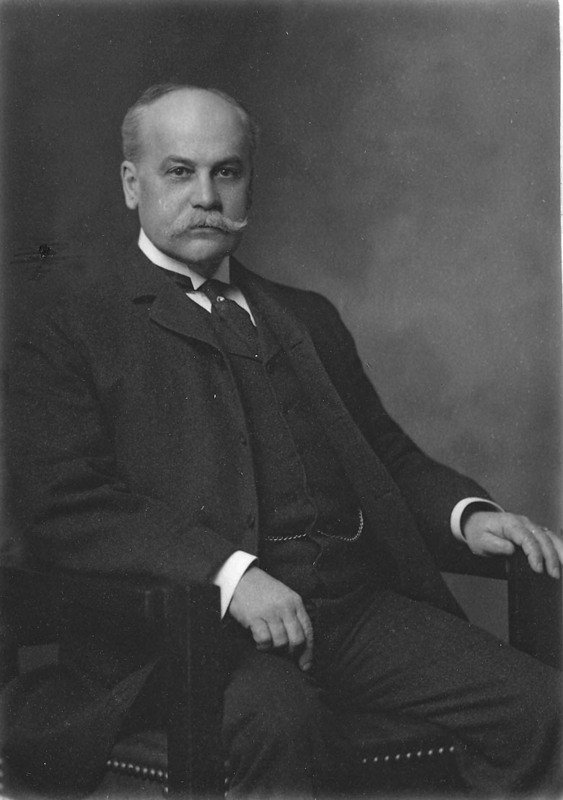 Born in Meredith, NH, he found success with business ventures in Boston and New York. In 1909, Nichols offered to build and endow a library for Center Harbor as a memorial to his parents. 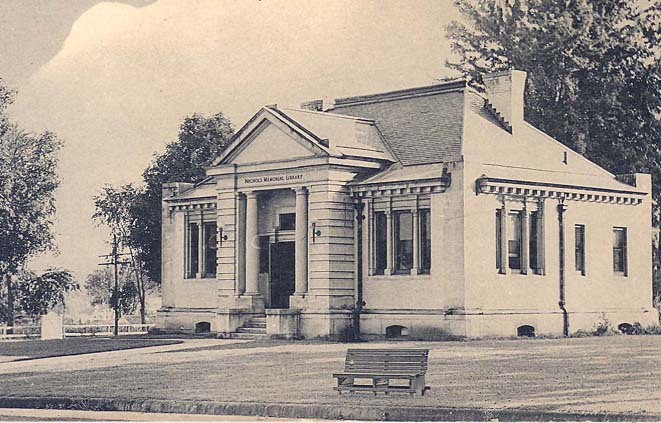 The holdings of the Center Harbor Library Association (1889), a private collection, became the core of the new Nichols Library. the library was to be ‘free and open to all,’ which it remains to this day. 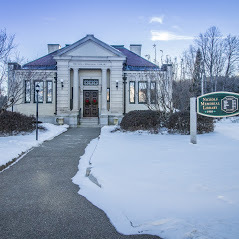 The Nichols Memorial Library has been judged “one of the finest classical library buildings in the state.” It was designed by Charles Brigham and built by Laconia contractor T. J. Guay. The Library was the structure is “strikingly well preserved.” Visitors enter the Library through a vestibule into a large double reading room. 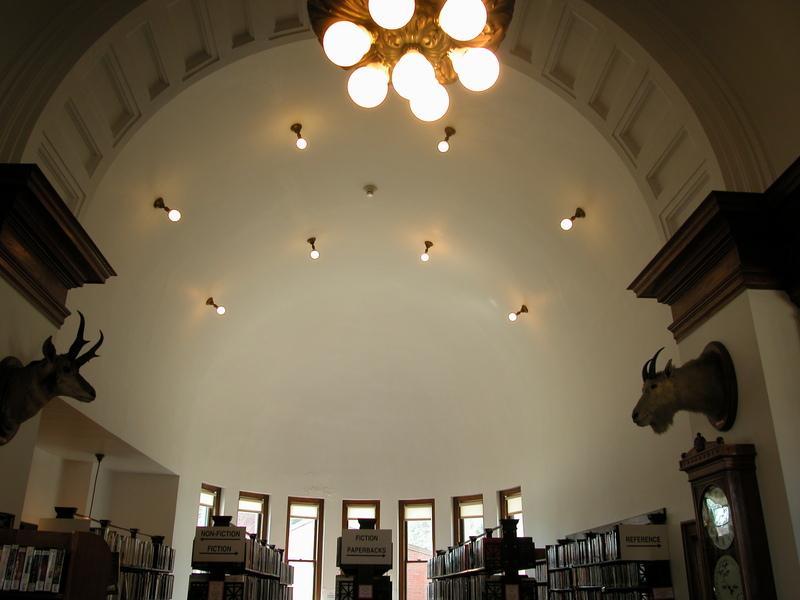 The ceiling over the stacks forms a graceful barrel vault. 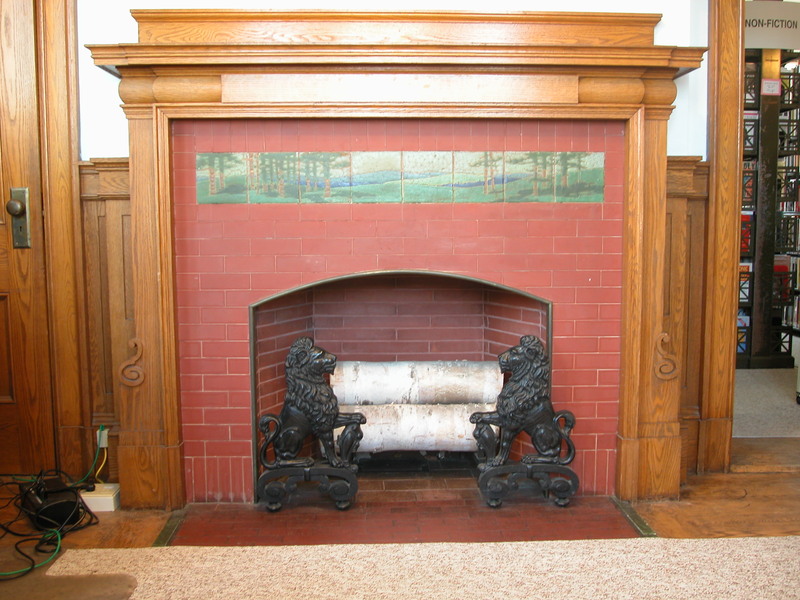 The two fireplaces contain interesting tile work. “The Pines,”an eight-tile frieze, was designed by Addison Le Boutillier for the Grueby Faience Company of Boston (ca. 1906). 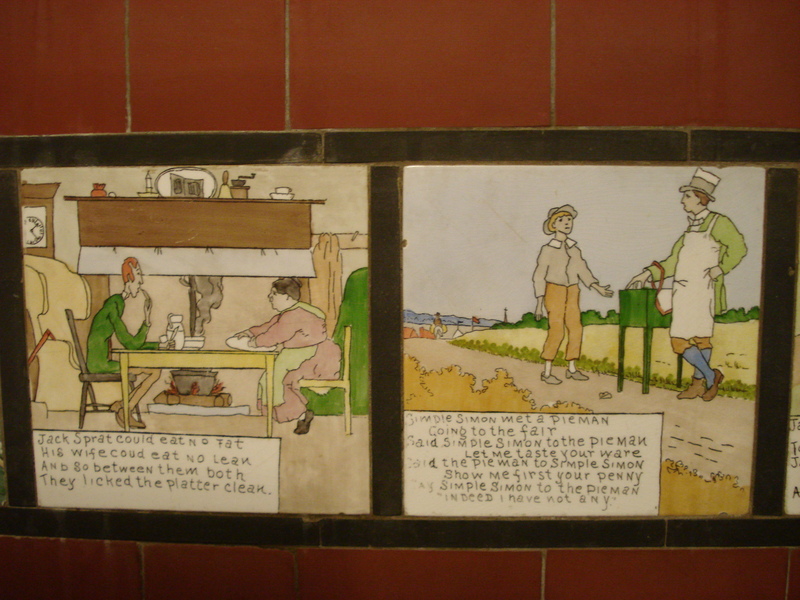 The whimsical Mother Goose tiles were produced by the American Encaustic Company of Zanesville. The Seth Thomas pendulum clock dates from 1876. The Mosler safe, originally for use by the Selectmen, now contains historic records of the Library. The animal heads in the main room were hunted by Mr. Nichols. A printed catalog in 1911 listed a collection of 2400 items on hand. A small selection from the original collection is still held by the Library. Today the collection contains more than 13,000 items, which includes printed materials, recorded books and other media items. The library automated its collection in 2001. Three public computer workstations provide access to office work software and the Internet.